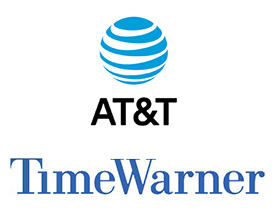 AT&T is in "advanced talks" to acquire media company Time Warner, and a deal could be finalized as early as this weekend, according to The Wall Street Journal. Bloomberg on Thursday said senior executives at AT&T and Time Warner met in recent weeks to discuss a possible merger, but it said the talks were informal at that stage. Time Warner CEO Jeffrey Bewkes has previously told investors he would entertain a sale of the media company, but only if it feels the price is right. In 2014, Bewkes and his board reportedly turned down an $85-a-share offer from 21st Century Fox, which valued Time Warner at more than $75 billion. AT&T, looking to add more content and original programming, would gain a number of valuable assets from Time Warner, including CNN, HBO, TBS, TNT, NBA basketball, Cartoon Network and the Warner Bros. film and TV studio. Popular series airing on those networks include, among others, Game of Thrones and Silicon Valley. New York Post sources said Apple was a possible suitor to purchase Time Warner earlier this year, which Financial Times later said was an idea proposed by Apple's services chief Eddy Cue. The discussions reportedly never progressed beyond the preliminary stage, however, and did not involve Apple CEO Tim Cook or Bewkes. An acquisition would have provided Apple with content for its much-rumored streaming TV service, which it has reportedly placed on hold due to difficulties in negotiating deals. It was reported the Netflix-like service would have offered a skinny bundle of channels, including ABC, CBS, and FOX, as part of a monthly subscription. An AT&T-Time Warner acquisition would likely be closely examined by federal regulators. Update: AT&T has officially purchased Time Warner for $85.4 billion. Companies are becoming too big and get more power than complete countries. Not a good thing for the citizens of this world. WTH? AT&T just bought DirecTV, hell no to this. Apple should put a stop to this, by buying Time Warner. Lets go Apple, are you serious about the Apple TV or not? This really needs to stop at some point. FWIW, it sounds like they're trying to buy Time Warner, not Time Warner Cable, which is actually a totally separate company (ridiculous, i know). Time Warner cable is owned by Charter and is being renamed Spectrum. This Time Warner is more like Disney not Directv. This is a bad bad bad idea. Even further media consolidation. We are already noticing how horrible it is for Network Neutrality when network connectivity and content producers are the same company, an inherent and clear conflict of interest. Yeah, looking at YOU, Comcast. We are already at the point where 90% of all mainstream U.S. media is owned by 6 mega corporations. Anyone up for FIVE? "One Corp to own them all, and in exclusive contracts bind them..."
If ATT sold off their wireless division to Apple, id be quite happy. Could you imagine if you could just get TV through Apple and it was all over a data network? Ugh... One can dream.